Tobago House of Assembly’s members will spend this Christmas season celebrating life free from strife, connecting with family and friends, cooking and cleaning, and wishing for improved quality of life for Tobagonians. For Chief Secretary Kelvin Charles, “Christmas is a time of peace,” and he urges “our rancour, bitterness and fighting must cease. THA’s Legislature’s Presiding Officer Denise Tsoiaffat Angus, tradition will be the order of the day, as she wishes Tobagonians a joyous season. “Like a good Caribbean person, I am following the heavy traditions of cleaning, some cooking and connecting with family and friends. This year has emphasised the fragility and uncertainty of life, so I am looking forward with great anticipation to having all my family in one place and giving God thanks that He allowed us to be together once more,” she said. 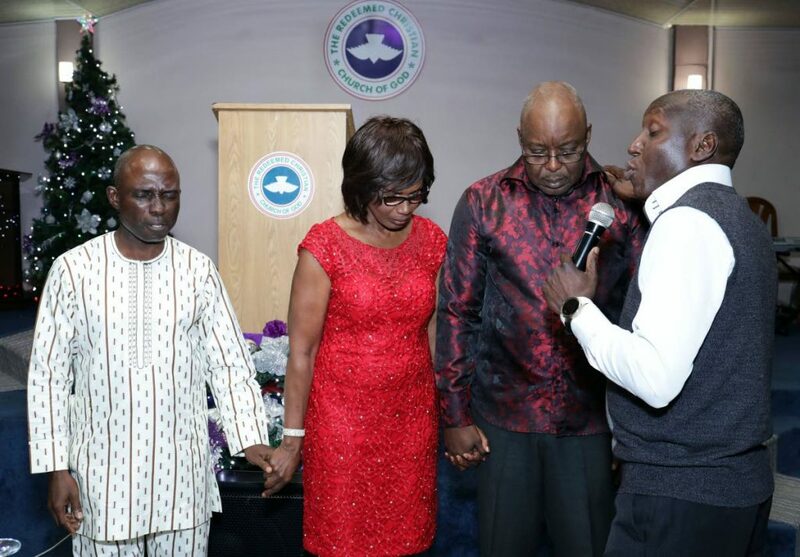 Chief Secretary Kelvin Charles, second from right, and his wife Catherine Anthony-Charles, pray with Reverend Cristin Andrews, right and Pastor Dapo Oyinloye at a Christmas dinner hosted by the Redeemed Christian Church of God, Garden of Peace, Milford Road last Wednesday. “To all Tobagonians, wherever you reside and the rest of the citizens of this country, I wish you a joyous season. During the festivities, remember to focus on the reason for the season, your health and the people in your lives. Minority Assemblyman Farley Augustine wishes for economic prosperity for Tobago in the New Year. “I wish that 2019 would be a far more prosperous year. I wish that the business community would finally begin to see a turnaround, I wish that for 2019 we would have a functional public transportation service and that includes air and sea transportation. “I wish that unemployment levels would drop and also that underemployment levels would be treated with. I wish that Tobagonians would see far greater income and that’s expendable income; income that can be used for personal development and development of their families. “I also wish that the teachers would have a far less difficult time in and out of the classroom and that they would receive a lot more support from the state with regards the functions that they carry out,” he said. Food Production Secretary Hayden Spencer was simple. “I wish that all mankind come to the understanding of Christmas as it relates to Jesus Christ, and love each other all year, 24/7 as he has asked us to do,” he said. 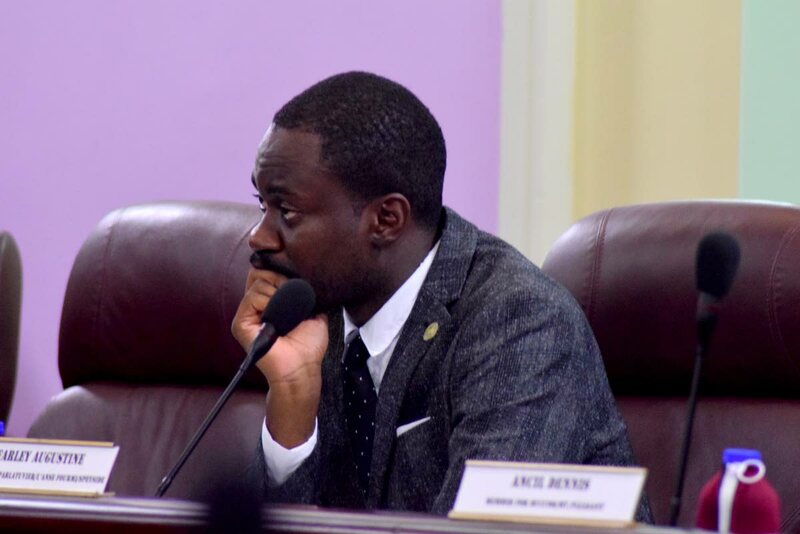 Clarence Jacob, Secretary of Public Utilities and Settlements, plans to spend some time with the children and the community. “My wish is that we would live in peace and make the best of all opportunities that we would encounter in 2019,” he said. Reply to "A peaceful Christmas with family and friends"